For the past two summers our family of 5 has embarked on a two-week road trip. Of the many details we spend months plotting and planning, where we’ll eat our meals and how much we’ll budget for food don’t even make it onto our spreadsheets. Until this year. Having just returned from our recent trip I’m happy to share with you these 6 tips that will have you feeling good about your wallet and your mom bod before, during, and after your vacay. Oh, and your kids won’t even realize that they’ve had nary a meal in a box nor a Mc or Chick anything. In other words: Way to go, Mama. There’s nothing worse than opening a cereal bar only to realize that it has been smashed and is now stuck to the wrapper. Even more disheartening is realizing that those yummy s’more-flavored granola bars you bought are now a melty, gooey mess all over your kids hands, faces, and car windows. Now, don’t go believing that the crunchy bars are the solution, unless you have a hand vac at the ready in your vehicle. Stick with snacks that are durable and can stand up to heat such as bags of Boom Chicka Pop, almonds, or individual boxed cereals that are great for snacking. When planning snacks, it's easy to immediately gravitate towards packaged foods. Vacation doesn’t have to mean you’re leaving all things healthy behind. One of the best things about fruits and veggies is that they don’t usually need to be refrigerated and they last quite a few days. Try bringing along a big bag of apples or clementines for a quick, healthy snack. Carrot sticks and snap peas along with individual cups of ranch dressing (that don’t need refrigeration until after opening) are a great side dish to any sandwich. Another option: dried fruits such as banana chips or mango slices. It’s amazing to think about how much money we spend each year stopping to get drinks during road trips or even just buying drinks at the hotel pool. (Not REAL drinks, of course. Those are worth every $$.) We always make sure to bring plastic, refillable water bottles with us on every trip, whether it’s by air or land. As a treat, we’ll buy a bottle of Mio or Dasani flavor drops when the kids are craving something sweeter or you’re stuck with not-so-great hotel water and want to mask the taste. Though it’s easy to buy pre-packaged snacks at your local big box store, it’s even more economical and squish/squash/smashproof to buy a big ‘ol bag of Goldfish or animal crackers and put them into your own tupperware for transporting. Even better: Invest in a super-cute, fun, and practical bento box so you can sort out snacks according to the actual serving-size. By giving each kid their own box you are also allowing them the opportunity to have a say in what they’d like to include. Whether it’s raisins, nuts, Ritz crackers, or grapes, kids will love having a say in their meal planning. Bonus: Empty tupperware containers are great for storing and reheating leftovers from dinners out or extra slices on pizza night. Before heading out on vacation I took a look in our cupboards to see what kinds of dry foods I could bring with us. Why shell out extra cash during vacation when you have the same staple items at home? I grabbed our peanut butter, a few packets of instant oatmeal, and a packet of tortillas. Before you begin thinking that I’m planning a strange PB & oats quesadilla, let me explain. Once we arrive at our destination we will stop by a local store and pick up some jelly, bread, milk, and shredded cheese. With just these few ingredients, combined with the few we’ve brought, we’re able to make standard PB&J sandwiches, PB&J roll ups with the tortillas, cheese quesadillas, oatmeal, cereal with milk, and grilled cheese sandwiches. How, you ask? Check out my next tip. Not all hotels offer in-room refrigerators or microwaves. Aside from intentionally finding hotels where these amenities are standard (which may be well worth a higher price), there are many hotel chains that have a microwave near the lobby (check out the breakfast area) or offer a mini fridge that can be delivered to your room. Even if these items aren’t publicized, you might be surprised to find that many hotels actually have them in stock for hotel guest use. You can either call in advance of your arrival to request one or simply ask at check-in. 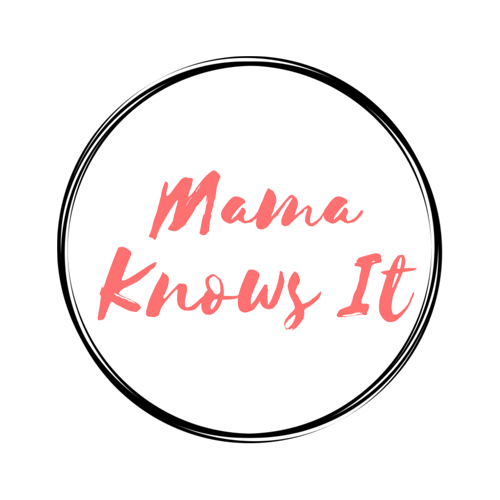 Bonus: Without sounding like a salesperson for the brand, I feel the need to let you Mamas know that the very best bags I’ve found for packing up all these goods are from Thirty One. The reason I own three of their Utility Tote bags is simple: They flatten out once they’re empty. If all goes as planned you’ll find yourself with little to no food items left for the trip back home which means extra room in the car for that boogie board or inflatable donut raft your kid coerced you into buying. It’s a win-win. Whether your family is planning a fall hiking trip to the Ozarks or a winter vacay in the Florida Keys, the fact is you’ve gotta eat. Save your well-earned cash for something other than a super-sized fry and keep your kiddos full with healthier options. Your wallet, and your waistline, will thank you.